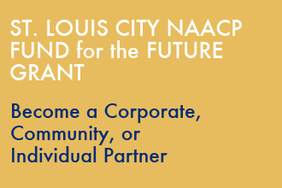 The St. Louis NAACP kickoffs 2019 with it's annual membership drive and a Town Hall meeting presenting 3 very viable and different candidates for President of The St. Louis Board of Aldermen. "The debate is critically important. 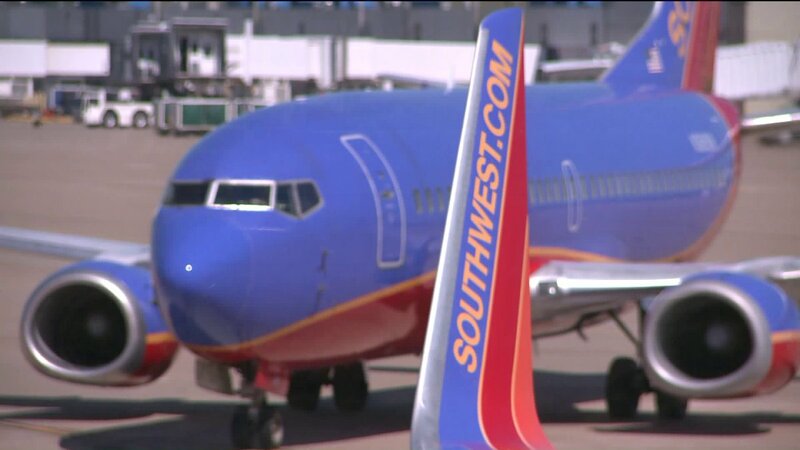 We as St. Louisans must get connected to and participate in this particular race. The outcome of this election will impact the growth of the City for years to come and now is the time to chart the most progressive direction for our City. We are excited to have a media partner who will bring the bandwidth needed to communicate to St. Louisans throughout the region. Now our ask is that you join with us as members to create and combine the resources to define a new direction." The Branch has reduced the cost of membership to $20.00 through Feb. 24th. 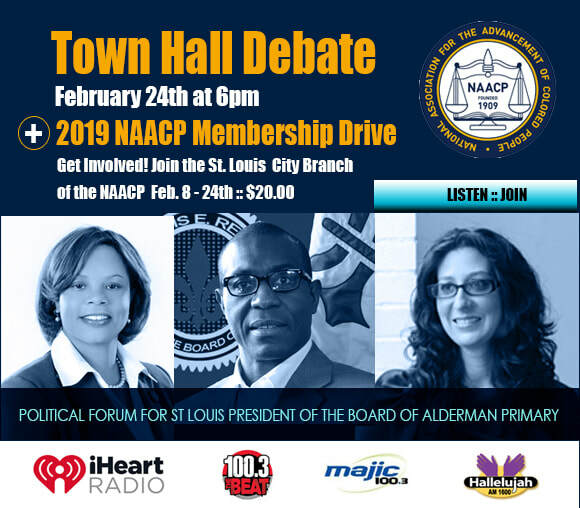 The debate/forum will be broadcast to the public on Majic 103.7, The Beat 100.3 and Hallelujah 1600 on Sunday February 24th at 6pm inside the iHeartMedia Performance room(closed to public). It is a pre-recorded 30 minute show with Robin Boyce (StL Journalist) and Adolphus Pruitt (President of NAACP of STL) The program will air on iHeart Communities the week prior at 7am on the The Beat, 7:30am on Majic and then on Hallelujah Thursday prior to the debate at 9am. In September Tresor Phanzu, a married family man was falsely accused of shoplifting by employees at the Saks Off Fifth Avenue at the St. Louis Premium Outlet location. Tresor was arrested at his home in Chesterfield by 5 aggressive officers from the Chesterfield Police Department and forced under duress to prove his innocence though he had committed no crime. 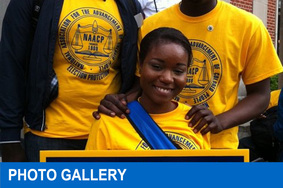 The St. Louis NAACP stands with the Phanzu family to declare - ENOUGH IS ENOUGH. Join our campaign to stop this hateful treatment and protect the rights of people to spend their hard earned money without harassment and mistreatment. This holiday season we are alerting the public of this family's treatment by Saks Off Fifth, The St. Louis Premium Outlet and The Chesterfield Police Department as a National Travel Advisory until a measure of justice can be attained. Watch the video interview and determine for yourself what must be done. Visit: www.oaksterdamuniversity.com/mobootcamp for more information today. Bottom line, the City needs money to fund its decaying, asset-choking, and revenue-depleting infrastructure. Private and semi-private funding, along with creative, innovative, and time and money saving project delivery methods are needed. We must embrace the new norm; risk sharing and revenue sharing. ​Federal and state governments embrace P3 contracting approaches, such as Design-Build-Operate-Maintain (DBOM), Design-Build Finance (DBF), and Design-Build-Finance-Operate-Maintain (DBFOM). 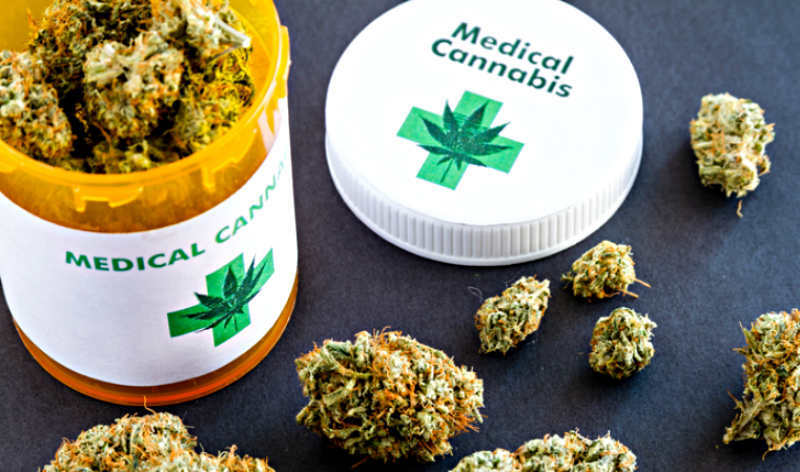 Amendment #2 is about putting health decisions back in the hands of patients and their doctors, allowing medical marijuana use under the supervision and expertise of doctors, not government bureaucrats. ​Marijuana and racism have long been intertwined, dating back to the post-Prohibition era in the 1930s when the country’s first drug czar gained fraction for his war on marijuana by invoking a fear of black people. In the 1970s, President Richard Nixon’s war on drugs targeted black people, as well as hippies. History is replete with how officials used cannabis prohibition to target and criminalize black and brown people and throw them in jail.